Who doesn’t like their blog posts to start like a 3rd grader’s book report with a bunch of statistics in the beginning? So, unless you’ve been living under a rock, 3.5 billion users are actively using the interwebz with more and more people joining every day. 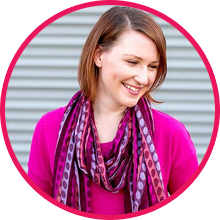 As business owners, that means your ability to reach customers globally is easier (but also more saturated!) than ever. But is there a difference between just having a website and having a quality website? To put this as professionally as possible… Yeppers. Since there are almost 2 billion websites online, users expect a quality experience or else they’ll find another site that’ll better fit their needs. That’s where a good web design comes in. Here are a few of the main advantages to having a quality website design that not only looks good, but also converts users into customers. So let’s nerd it up with a numbered list, shall we? Branding has a big impact on the success of businesses. Your logo, business name, brand colors, website, copywriting, positioning, photography, videos, and marketing style all work together to build a brand story for customers that ultimately forms an emotional connection. With a solid web design and digital strategy, your brand’s key elements will be present in every corner of your website, and in your off-site marketing as well, so your customers can feel like they know, like, and trust you before they even talk to you. Before you know it, your brand and website will perform like the best employee you never have to pay, works for you 24/7, and never calls in sick or misses a deadline. Good design means that when users come to your page they’re going to stick around. If they’re put off by the design and feel that their needs can’t be addressed in seconds (3 seconds to be exact! ), they’ll hit the good ol’ back button. Users bouncing off your page in this way not only means you’re losing customers but it can also have a profound effect on your search engine rankings. Search engines like Google track the amount of time users stay on the websites they refer them too. Frequent bouncing tells Google that what they’re recommending to users is not meeting their needs. Consequently, your search engine ranking will fall damaging your ability to engage customers in the future. With a good web design, your website’s pages will be more enticing and give people the opportunity to learn more about you and your products/services. Who cares how much traffic you get to your site if no one actually buys your product or service, or joins your email list? And who cares how pretty your website is, if there aren’t any clear call-to-actions that get your users to take action and sign up for your consultations, or purchase your online course? Good design on a website understands the science of this process and optimizes your website to make sure you’re maximizing your earning potential on and off the website. That means structuring your website in a way that guides users towards completing your business’s goals, such as having users purchase your products and services. Ensuring that you have quality “call to actions” in place that lead to your sales funnel will help you to keep customers in your pipeline so you can continue to do the work that you love. Not sure how your website is currently performing? Here’s how to tell what the current conversion rate of your website is. Every day, more users of the internet are migrating from traditional computers to mobile devices. Well over half of internet users in the United States are reported to access the internet regularly from a phone or a tablet. Is your website ready to serve those potential customers with a website that’s optimized for mobile? Good web page design means that your website will automatically adjust based on the screen size people are accessing your content from. That means no small text where users need to squint to read or impossible-to-click tiny buttons. With good design, no matter what device users are leveraging, you can be sure they’re getting an experience you’re proud to present. Another important factor of platform agnostic design is search engine rankings. Companies like Google have expressed in the last few years that they would be prioritizing mobile-friendly websites in search engine results over those that just cater to desktop computers. In order to make sure you’re not penalized, it’s important that you quickly appreciate the importance of websites incorporating mobile-friendly infrastructure and get yours moving in that direction. A website isn’t the only place where users are going to engage with your products and services. Social media platforms such as Twitter, Facebook, Instagram, YouTube, Pinterest and more are also popular ways to engage potential leads in meaningful ways. If your business relies on local foot traffic, your reviews on Yelp and Google have a massive impact on whether or not people will choose to do business with you. Having a website that can incorporate feeds and information from social media can be critical when trying to create an experience that feels not only cohesive but also more social by meeting potential customers where they’re already hanging out. This integration also creates the opportunity to grow an engaged community where you have a lifeline connected directly to your customer base. You can ask them questions, get feedback on a product/service, advertise a sale, run a giveaway, create a hashtag challenge, and more to create engagement and get to know your fans and followers just a little bit better. eCommerce giant BigCommerce released a study stating that a 1-second delay in page load time costs a company doing $50,000 in sales per day over 1 million dollars a year. What that means is that people have little patience for hiccups on websites. Given the immediacy of other options available to people online, it’s easy for them to click away from your products and take their business elsewhere if they’re having trouble with your site, or waiting too long for it to load. An important component of your website design, is making it sure your site loads in under 3 seconds. If it doesn’t it not only pisses off Google, but it also affects your search engine rankings. Not sure how fast your site is loading? You can test that on Pingdom and Google Mobile Speed Test. 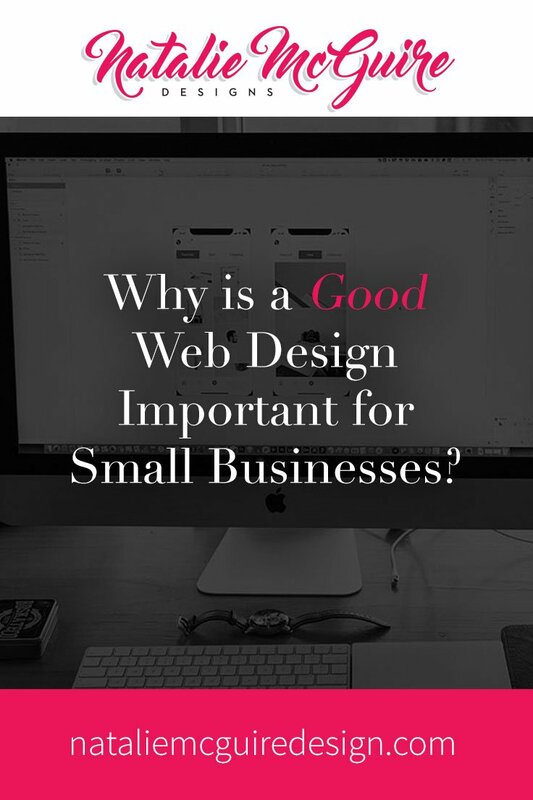 As you may have surmised by all of the mentions of how good design can drive up sales, investing in quality website design can mean more customers in your pipeline, and more money in your pocket. Taking your website from an archaic design to one that’s conversion-optimized can be a daunting investment, but have you thought to consider the costs of NOT having a website that performs as best as it could? How much money are you currently leaving on the table by having a website that doesn’t represent you, or your business well? Or one that doesn’t convert users into customers? Getting online for a small business is incredibly important, but it’s equally important to make sure that the quality of your online presence is beyond just creating another pretty website. With a solid digital strategy in place, and a conversion-optimized website, you can finally start raking in the customers you deserve that’ll move your business forward. If you’re a business owner looking to optimize your website and overall online presence, contact me. I specialize in providing small businesses with custom digital strategies and conversion optimized website designs that allow them to grow quickly and sustainably for years to come.